The 21st Century has seen the development of new survey techniques that make capturing a highway and it’s assets much faster and safer than traditional methods. Health and Safety of workers on our road networks is now paramount. Thankfully, gone are the days of marching down the centre line of a road recording its crown level! For minor road junction surveys the conventional total station work is still an acceptable method, if correct protocols are adhered to, but when this surveying moves to the motorways and other major arteries the associated danger to a workforce increases dramatically. With the innovation of new surveying tools, the dangers to exposed surveyors on roads has been dramatically reduced. By far the largest development is the introduction of the Vehicle Based Mobile Scanning Platforms, these systems allow the surveyor to capture highly accurate data even while travelling at normal road speed. Previously this technology was limited to military and airborne systems, but due to improvements in GNSS and Inertial Navigation Systems was subsequently adopted in 2009 by ABA Surveying. After months of investigation we finally chose a combination of products to create our own Mobile Mapping System, investing in a high-end INS system which used Fibre Optic Gyro (more accurate than a 1 second theodolite), a Javad GNSS System and three laser scanners with a combined capability of capturing 1.5 million p/second. 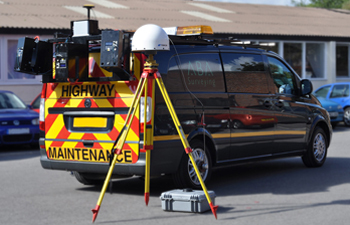 ABA commissioned its system in 2009 and has regularly been undertaking highway surveys for major contractors and design companies since, with a proven accuracy of sub 10mm. 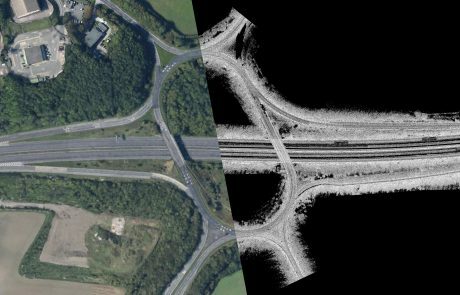 We have now carried out more than 5000km of survey grade highway scanning, delivering everything from just a point cloud right through to fully surfaced BIM Level2 compliant As-Built models. We have recently completed an As-Built survey of the M1, from Junction 28 through to Junction 32 of the M18, which has been changed to a modern Smart Motorway. 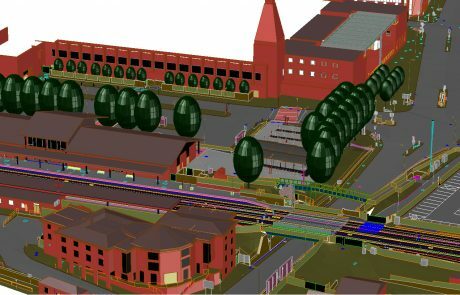 32km of motorway has now been captured and recorded in a working BIM model framework.